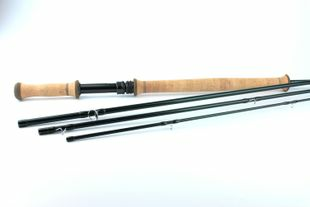 C F Burkheimer Fly Rods - Competitive pricing with no Sales Tax and prompt Free domestic shipping - plus a free Airflo Spey line with many two hand rods! The Caddis fly Angling Shop part of the Burkheimer family of distributors of these unique, hand-crafted fly rods. 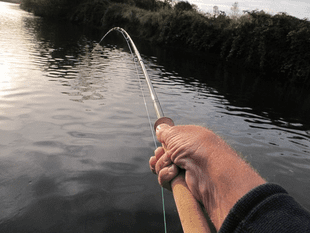 This is a well established and enduring personal and business relationship that allows our clients access to the full range of Burkheimer fly two hand and single hand fly rods. Burkheimer fly rods are built one-at-a- time. 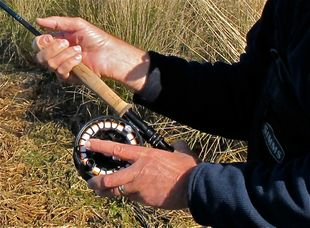 Kerry Burkheimer doesn't produce a thousand fly rods in a single run. While CF Burkheimer Spey rods are internationally revered, our staff are also fish Burkheimer single-hand fly rods for salmon and sea-run cutthroat, so if you are interested in a Burkheimer single-hand fly rods for salmon, steelhead, bonefish, permit, tarpon, or billfish, we can special provide the rod of your dreams. 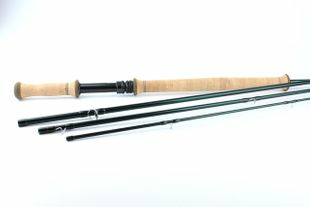 Our in-shop inventory of CF Burkheimer Spey fly rods varies over time so we invite you to call the shop or email us � we will gladly facilitate your special order through Kerry and deliver the Burkie of your dreams. 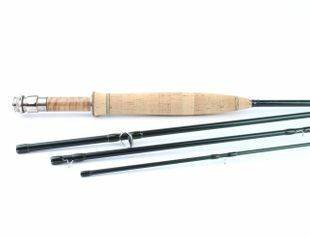 All CF Burkheimer fly rods rods include the Burkheimer Warranty and are shipped in a powder coated aluminum tube and partitioned cloth sack.